This past week my daughter turned ten months old. 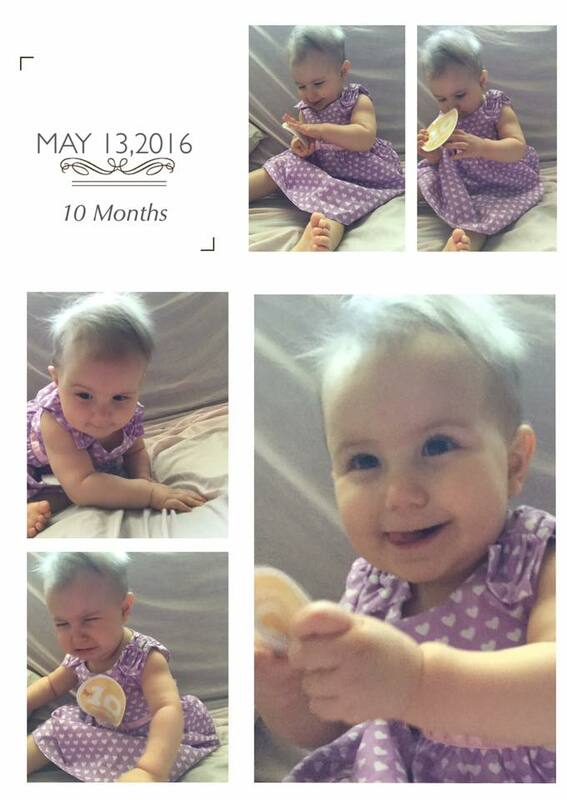 I can't believe how fast the time goes, and how quickly she's been growing. I cherish every moment I spend with her, and try to snap as many photos to help make memories last longer. There's some regular activities that her and I do daily, but one of her favorites is story-time. Every day after lunch, just before nap-time, I read her a couple children's books. She has her favorites, but I noticed that she loves the personalized ones... there's a few floating around at home. She recently received a personalized book from KD Novelties, and she was super excited. The book is actually meant for her 1st birthday, however, she was lucky enough to get a quick view of it before her big day! I was sent a coupon code from the company, so that I could purchase it from their website just like any other customer. It was incredibly simple the whole process... I think the hardest part was trying to decide which book to go with! They have a good section of books for all ages of children, and plenty of other items that you can personalize as well, like puzzles, dvd's and music. 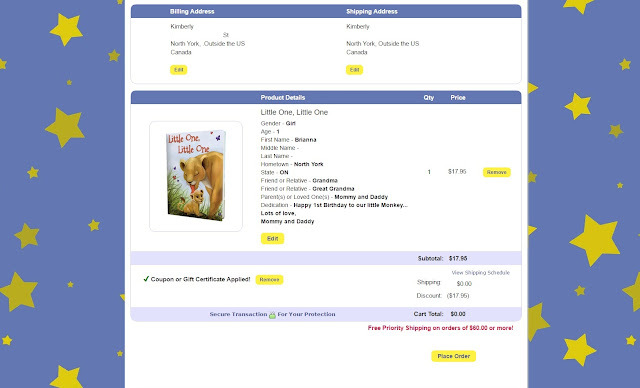 Looking at the screenshot below, you can see truly how simple it was... it asked for the age of the child, full name (I erased the middle and last name for privacy), and the option for friends and loved one's to be included in the book as well. The overall look of the website is simple, super cute and eye catching, and 100% user friendly. Screenshot of me placing the order! The book arrived nicely packaged in a box, along with a pretty brochure and a company magnet. 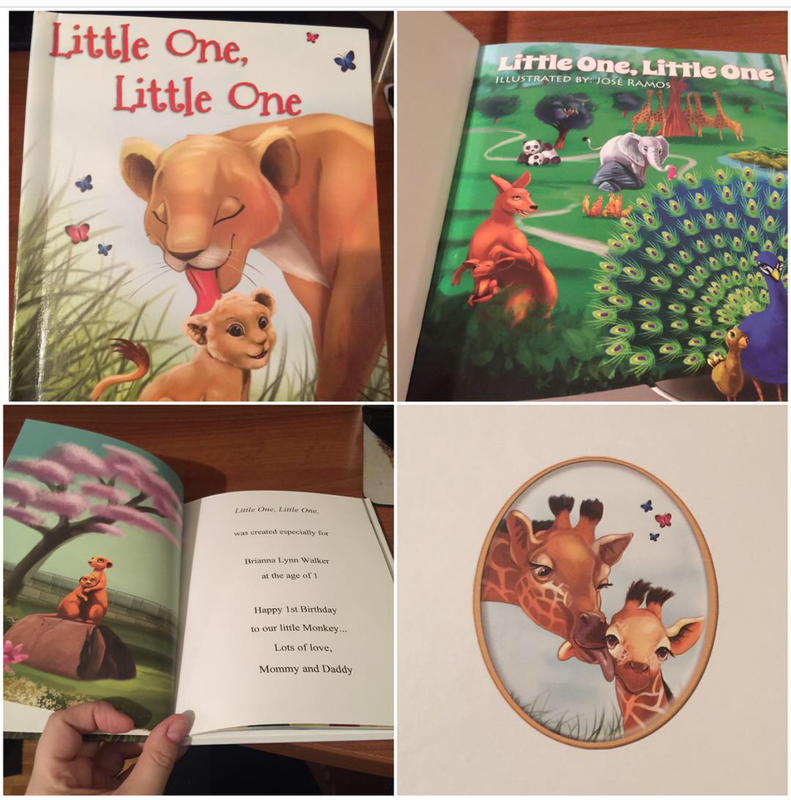 The book itself was smaller in size with a hardcover... perfect for little hands. The photos throughout the book are nice and vibrant, which my daughter couldn't take her eyes off. The illustrations by Jose Ramos are really pretty. There's plenty of books that I added to a wishlist for future events for the little monkey... the books make for the perfect gift. Interested in getting a personalized book of your own? Sure you are... click here to grab yours today. Interested in checking out their Facebook and Twitter pages? Of course you do... you never know when you may come across a deal!